A Birmingham man's been found guilty of a terror offence for giving cash to the Brussels bombing suspect Mohammed Abrini. 26-year-old Zakaria Boufassil along with another Birmingham man Mohammed Ali Ahmed, who admitted charges met the so-called "man in the hat" in a park in Birmingham handing over £3,000 in cash. A jury of six men and six women at south west London's Kingston Crown Court found Boufassil, 26, from Birmingham, guilty of engaging in conduct in preparation of acts of terrorism. Boufassil, who looked stunned as the verdict was delivered, told the court during the trial that he was a cannabis user and a "moderate and tolerant'' Sufi Muslim and described members of the so-called Islamic State as "worse than animals''. On April 8 this year, Abrini, 31, was arrested in Belgium and accused of "participating in terrorist acts'' linked to the Brussels Zaventem Airport suicide bombing on March 22. The Belgian Moroccan is also wanted by French authorities for the November 13, 2015, attacks in Paris in which 130 people died. In a transcript of an interview with Abrini by Belgian investigators, which was read to the court during the trial, he said that while visiting the Islamic State stronghold of Raqqa, in Syria, a man called Abdelhamid Abaaoud had asked him to collect the cash in the UK as a "favour''. He also revealed it had been "Zakaria'' who had handed him the bag of money in the "forest'', but that he had not been told by Abaaoud who it was from or how much he was to collect. During his UK visit, which took place between July 9 and July 16, 2015, Abrini also visited casinos in Birmingham and Manchester, Old Trafford football stadium, the Arndale Shopping Centre in Manchester and the Bullring in Birmingham, after travelling to Britain from Syria via Turkey. A number of images were found on the phone he had been using, which included one of a roulette machine, a number of pictures of Manchester United's ground, and some of a moth in one of his hotel rooms. Despite this, Abrini claimed that "neither in London, nor in Birmingham, nor in Manchester'' had he been on any "reconnaissance trips in relation to preparatory terrorist attacks''. Abrini also said there was no plan to attack England because the country has a "more developed secret service'' as well as "better observation techniques''. The court heard how money was taken from an account held by Anouar Haddouchi, an associate of Ahmed who previously lived in Birmingham and had travelled to Syria to fight for Islamic State. The account contained overpaid housing benefits totalling £5,413 which had been paid between December 21, 2014, and November 1, 2015. Ahmed used a replacement debit card for the account to make 17 withdrawals between May 30 and June 30, 2015, and £3,000 of the cash was handed to Abrini in Small Heath Park, Birmingham, on July 11 last year. He said there was "no doubt'' the money was handed over with the intention of assisting acts of terrorism. Telecommunications evidence showed there was a "convergence'' of the three men in the park on July 10, which the prosecution said was to ``act as a dress rehearsal'' and to see if Abrini was being followed. Data showed Abrini, Ahmed and Boufassil had also been together in the same area the next day between 3.29pm and 3.34pm. During the trial Boufassil admitted meeting Abrini in the park, but denied it had anything to do terrorism and its funding. He insisted that Ahmed had "never communicated'' his plans, "took advantage of his naivety'' and had not told him that Abrini, who he claimed to never have met, was a "bad person''. Boufassil denied sharing the intention of his co-accused, who admitted the charges on November 8. The pair will be sentenced on December 12 at the same court. 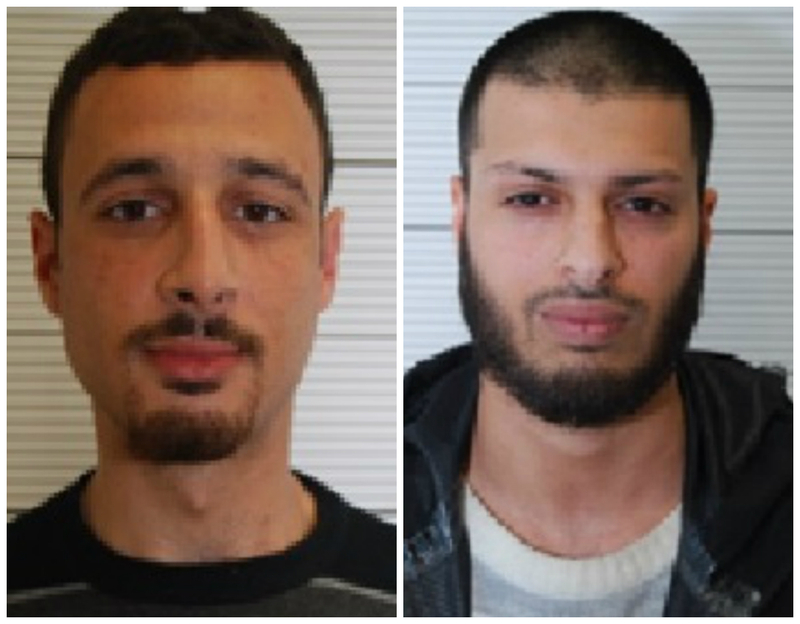 Following the conviction Assistant Chief Constable Marcus Beale, counter terrorism lead for West Midlands Police, said: "The conviction of these two men is significant for the UK as it identified a dangerous link to Abrini and Abaaoud. "Their conviction sends a clear message to those who fund terrorism will be prosecuted and potentially face lengthy prison sentences. "We know that Abrini visited several locations during his visit to the UK, but that his sole purpose of being here was to collect the money and our case - whilst not focused on attack planning - acts as a reminder of why our work to prepare for and prevent such incidents in the UK is important.